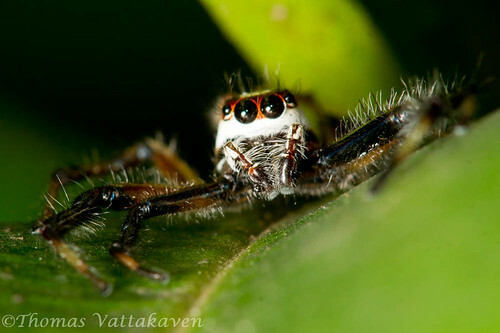 This Jumping spider was rather reluctant to expose itself and sat hidden between the stalk of a leaf. Nevertheless, its nervous eyes made for a great capture. As you may note, the key in these photographs were to get the focus spot on. 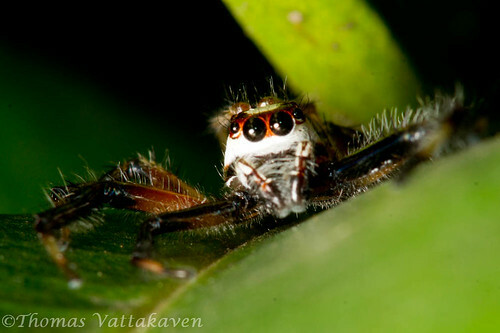 Only the last snap has an aperture small enough to allow for a wider depth of field to get both its eyes and pedipalps in focus. 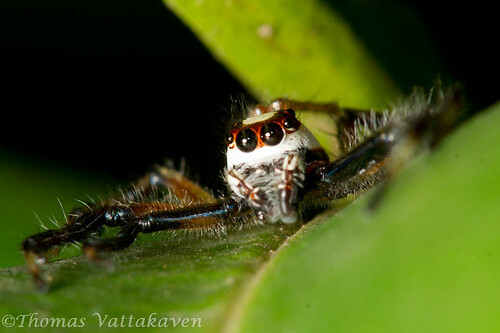 When faced with such a situation, the flash has to be angled in such a way that it its the spider clean and is not blocked by overhanging leaves.